Charles Jacob ZWAR was born on 26th August 1873 at St. Kitts, near Dutton, South Australia. The 8th child and 5th son of Peter and Magdalena Zwar, he was always known as ‘Jack’. He always thought that his names were Jacob Carl Zwar (probably why he was known as “Jack” – A Z ), and those are the names on his marriage certificate of 24th February 1897, and also on the birth certificate of his son Harrold in 1908. However, in 1911 when purchasing some land he was required to produce a copy of his birth certificate and found his names were ‘Charles Jacob’. When he was about 5 years old his parents shifted to a farm near Appila. Jack attended the Appila Pine Creek Lutheran School, the same building the family worshipped in on Sundays. 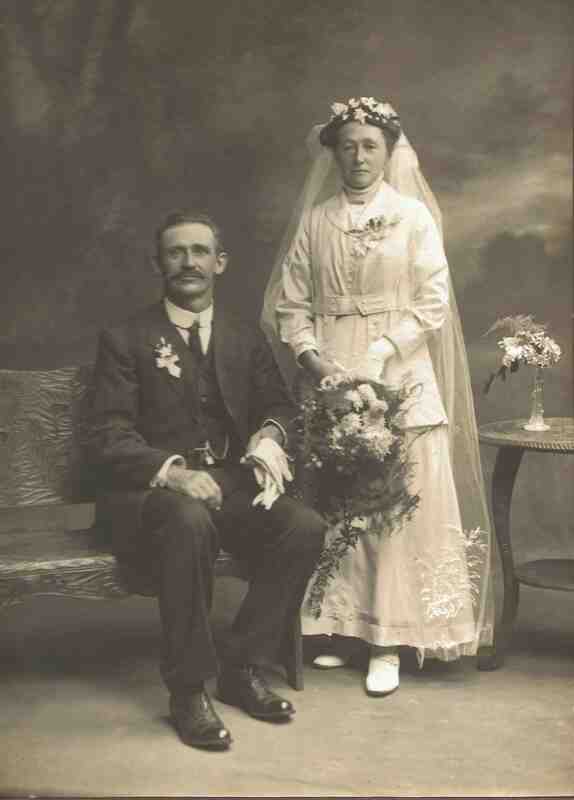 On February 24th 1897 he married Johanne Pauline Marie WILL (known as “Marie”) in the Pine Creel Lutheran Church near Appila. The witnesses were Carl Heinrich Zwar and Luise Emma Keller. The marriage was blessed with five children, three boys and 2 girls. Herbert, (born 26/03/1898; Oscar, (born 07/03/1900; Lucia, (”Lucy”) born 26/09/1902; Crispina, (“Crissy”) born 26/07/1904; and Harrold, born 16/11/1908. The eldest, Herbert, died aged 14 months. They left Appila on 28th July 1898 and settled on a 20 acre block on the other side of the Flinders Ranges, four miles from Port Pirie. Then in February 1911 they moved to a larger holding two miles further south. However, after only 5 weeks there, Marie became ill with appendicitis and passed away 5 days later on 16th March, leaving Jack a widower with 4 children aged from 11 years down to 2 years and 4 months. Jack’s cousin Matilda Altmann came over and helped to care for the children [Matilda Dowling nee Altmann to Kevin Zwar 18 May 1978]. The Port Pirie Register of the Lutheran Church show that Marie had attended Holy Communion from 1905 until her death. The records also show that her husband attended Holy Communion when the records started in 1905 till the register ends in 1922. The children all received their education at the Pirie Blocks State School. (My dad, Harrold, told me once that his father had worked on the wharves at Pt. Pirie during hard financial times. – A.Z). 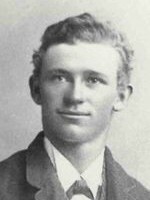 Harrold Zwar lived with his uncle Peter Zwar for some months to attend confirmation lessons at Pine Creek under Pastor Ortenburger [K.Z]. Six years later Jack married Emma Marie Louisa STAEHR in the home of Mrs Auguste Christine Anna Dettmer, in Solomon Town, Port Pirie. 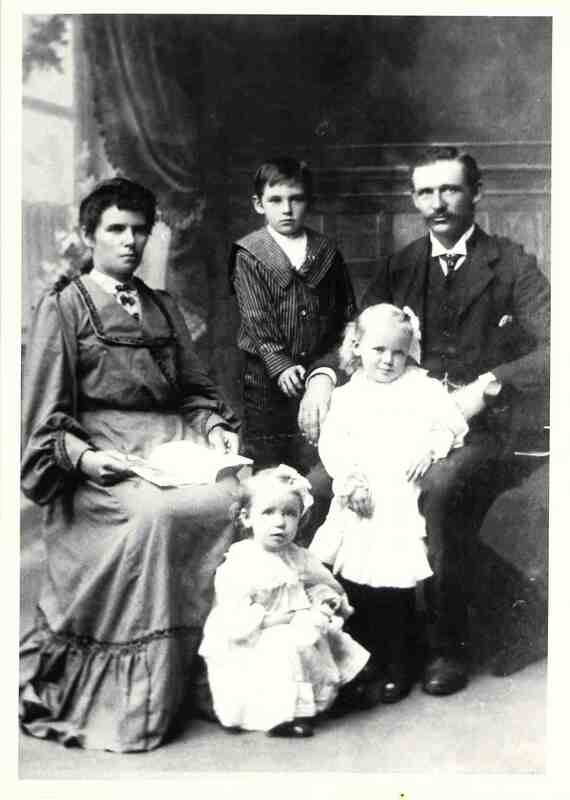 The witnesses were M. H. F. Noll, who lived in Port Pirie, and O. S, G. Noll who lived in Crystal Brook. This marriage was blessed with 2 boys, Frederich, born 16/03/1918; Rex, born 03/05/1921; and a girl, Rita, born 02/09/1923. However, the eldest, “Freddy” died at 18 months and his brother died at 14 years of age after only two days illness. In February 1928 they sold the Port Pirie property and the family moved to the other side of Spencer Gulf to the Mangalo district, north of Cleve, on Eyre Peninsula. Here Jack and Harrold share farmed for 15 years for his brother in law F T Will (Marie’s brother). Oscar eventually owned his own farm nearby. At age 70 years, Jack and Emma moved to a small property on the outskirts of Cleve where he did saddlery and boot and shoe repairs. Alan remembers how he and his older sister were each allocated a day of the school week, in Alan’s case it was Friday – to walk up the hill during the lunch hour, to visit their Grandparents. 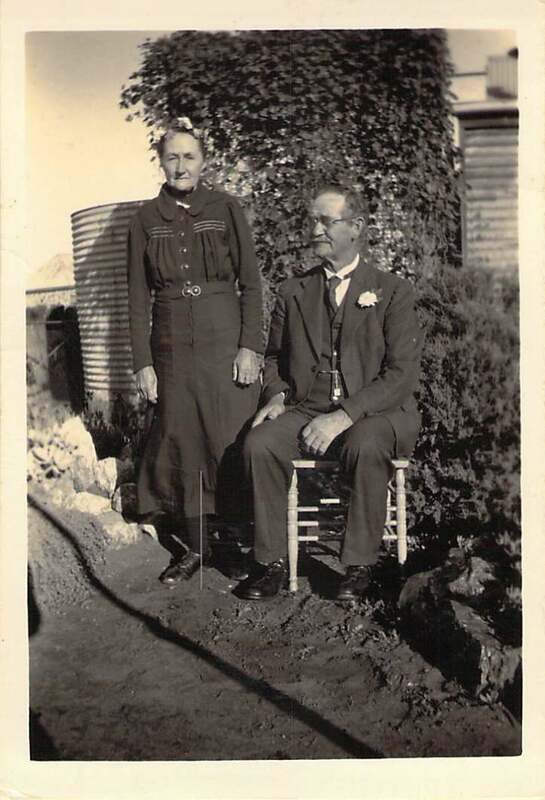 When they became too aged to care for themselves Emma and Jack moved to Yeelanna and lived with their youngest child, Rita, and her family on their farm. Jack died in 1965, aged 92 years, and Emma the following year, aged 85 years. Both are buried at Cummins. (The above information was supplied by grandson Alan R Zwar, from notes found amongst his father Harrold’s papers and personal recollections of conversations with his father).